New Jersey like we do. back, relax and enjoy the move! 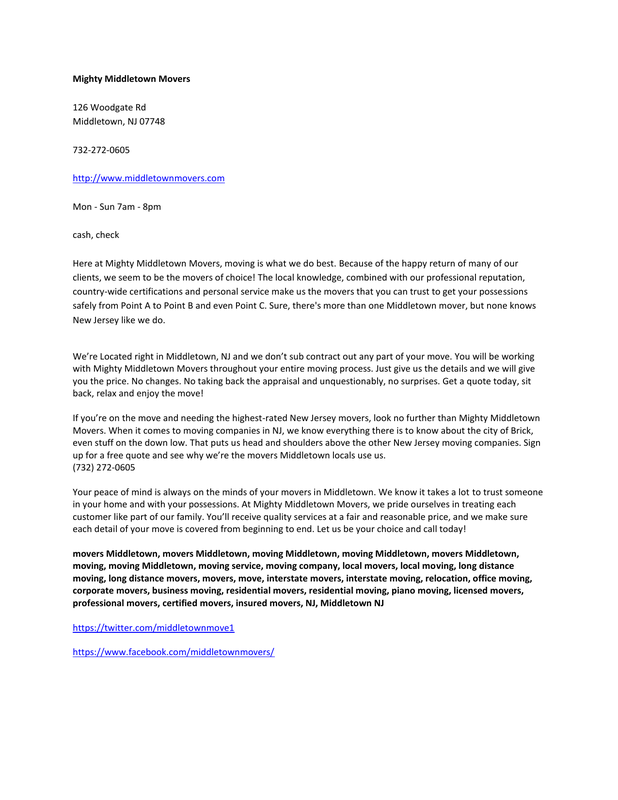 up for a free quote and see why we’re the movers Middletown locals use us. each detail of your move is covered from beginning to end. Let us be your choice and call today!